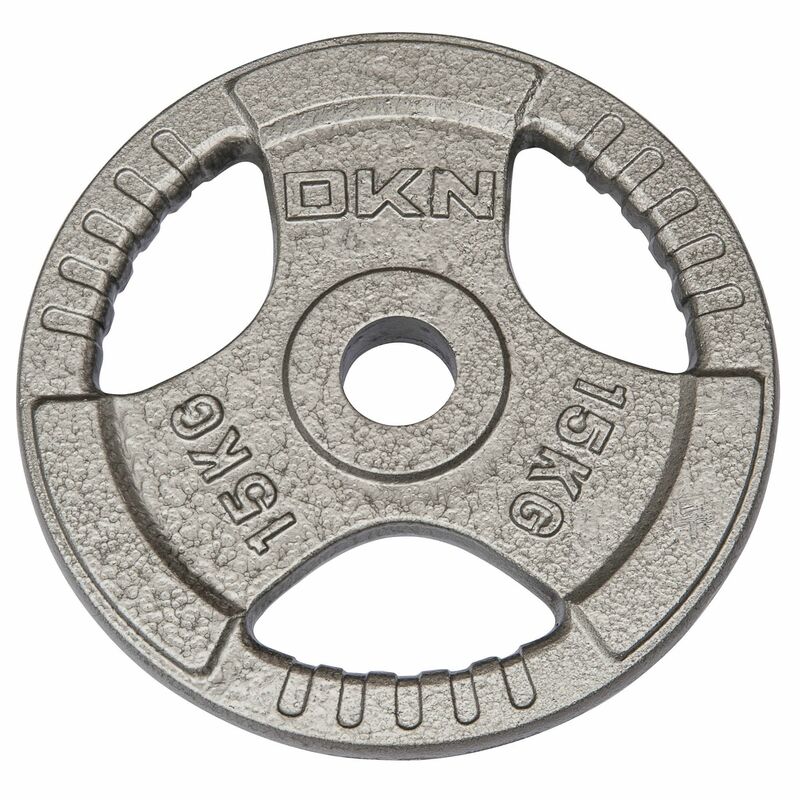 Manufactured from solid cast iron, these weight plates from DKN are compatible with all Olympic (2 inch / 5cm) diameter bars. 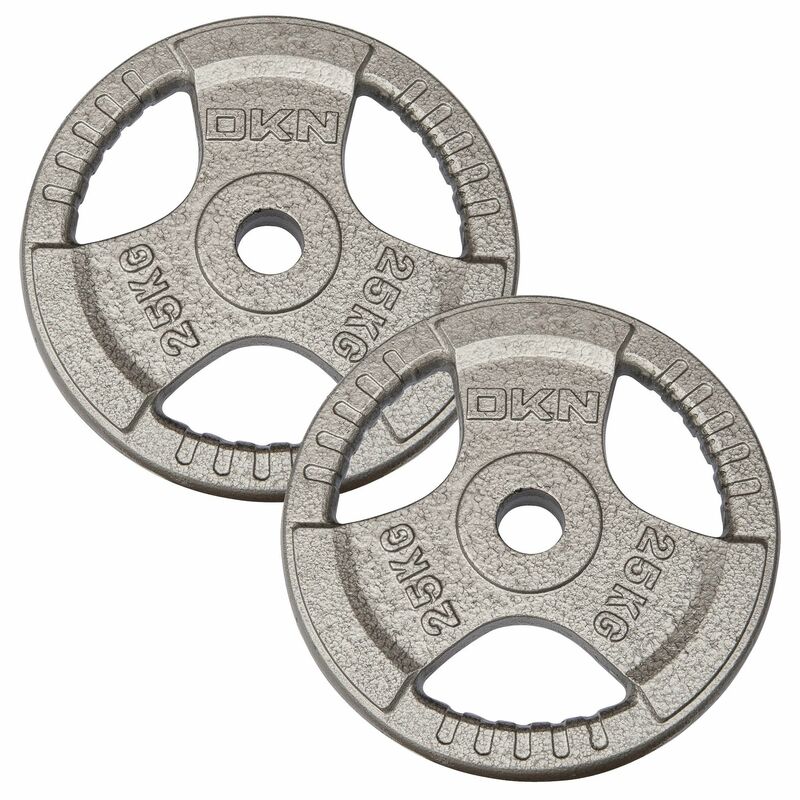 Each plate has a durable, hammertone painted finish and features a DKN logo, as well as the weight of the individual plate embossed on it. Their tri-grip design enables faster plate changes and also enables these plates to be used in free weight exercises. 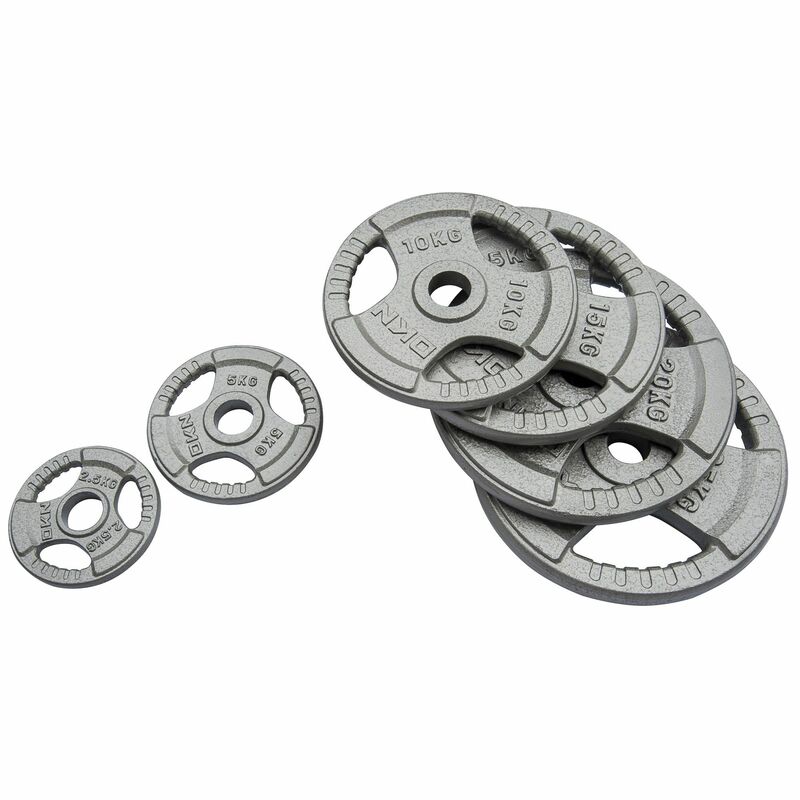 Built to last, these plates are suitable for use in both home environments, as well as in light commercial ones. 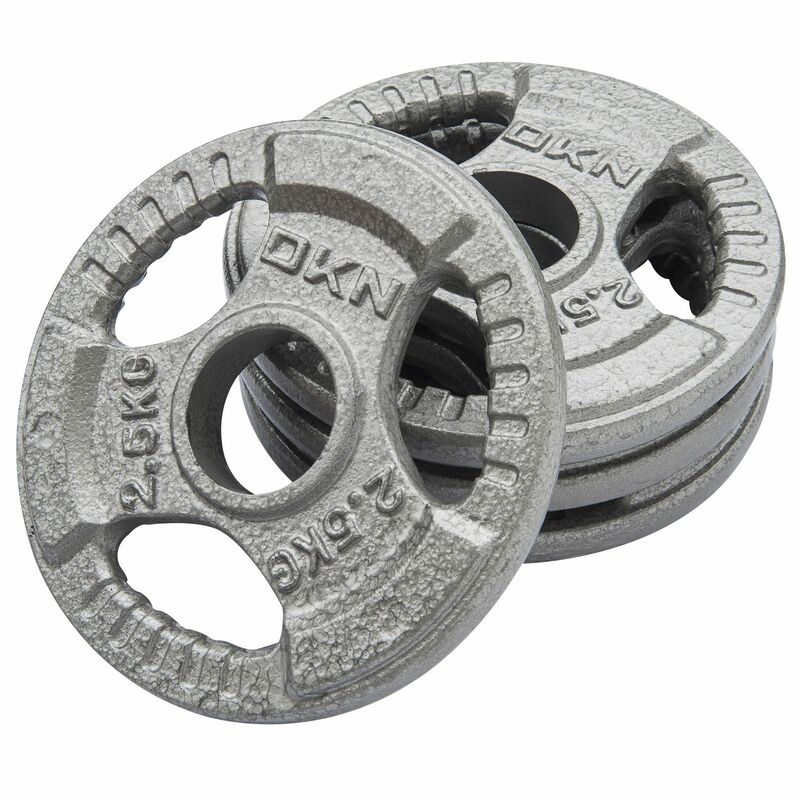 Save 25% on the compatible DKN Olympic Collars when purchasing this product! for submitting product information about DKN Tri Grip Cast Iron Olympic Weight Plates We aim to answer all questions within 2-3 days. 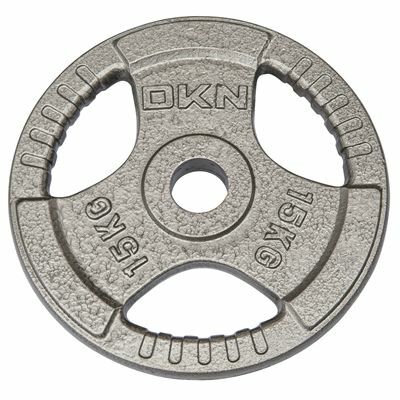 for submitting product information about DKN Tri Grip Cast Iron Olympic Weight Plates. We aim to answer all questions within 2-3 days. If you provided your name and email address, we will email you as soon as the answer is published. Great quality weights. Thick coating and well cast. The tri-grip design makes them much easier to move around. 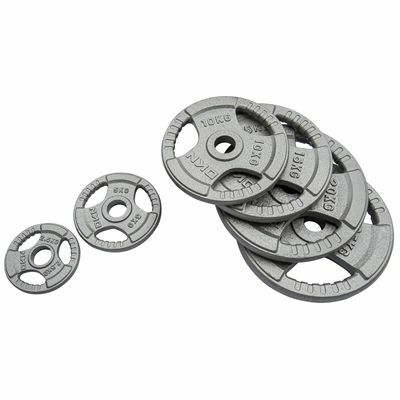 Good product at an unbeatable price, bought 4 sets now mainly for the oly dumbbells. Quick delivery too. Very quick delivery, cheapest around for brilliant quality product. I was a little sceptical when ordering looking for the catch thinking it was too good to be true. They arrived very quickly and are perfect! very happy with this item. got exactly what i wanted/expected. easy to use, good quality. I brought 15kg pair set as I'm building a home gym. 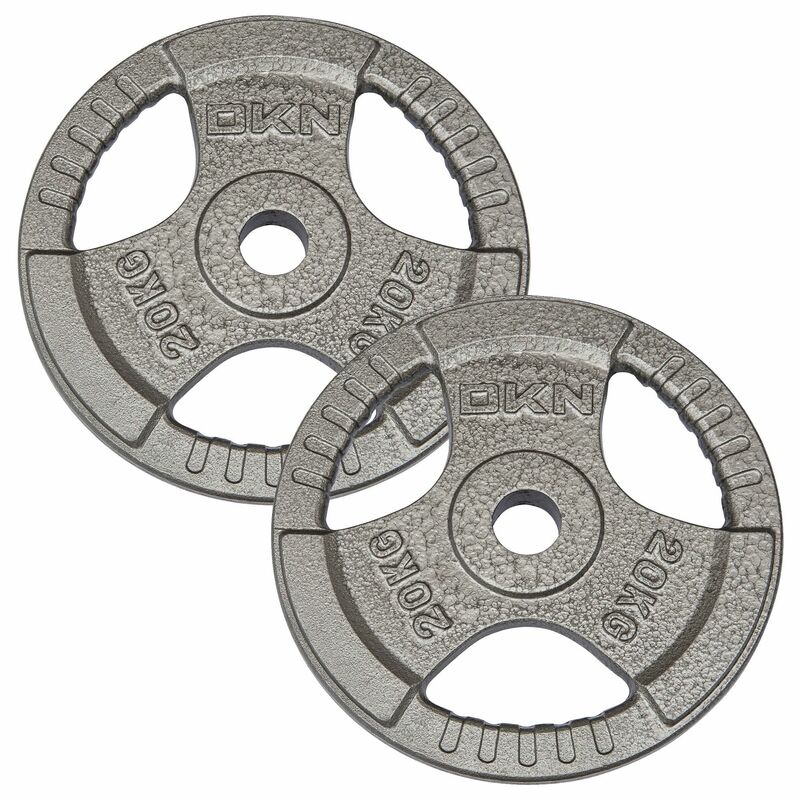 These are great quality weights for building muscle mass! 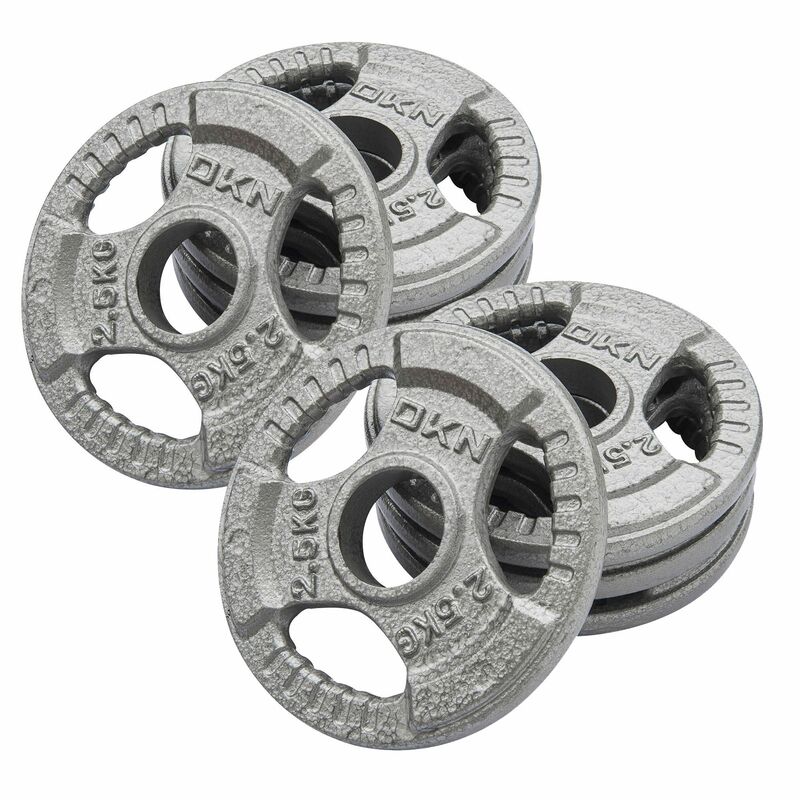 Perfect for barbell exercises too. Try finding these cheaper I dare you!! 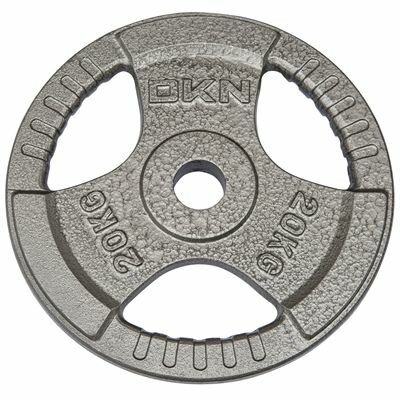 I have been lifting for a number of years and after investing in a professional gym, I needed Olympic plates. Found these, and I am very impressed. Very soild, and normally very accurate in terms of weight!! I have brought 25s, 20s, 15s, 10s, 5s and soon the 2.5s. Always very happy!!! 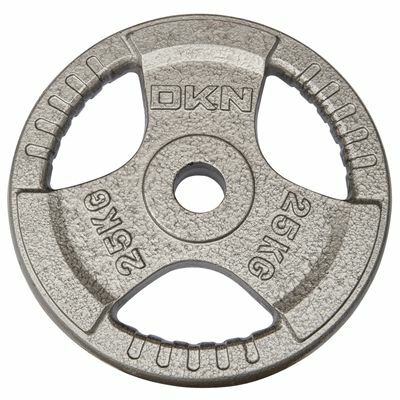 Great weight plates. 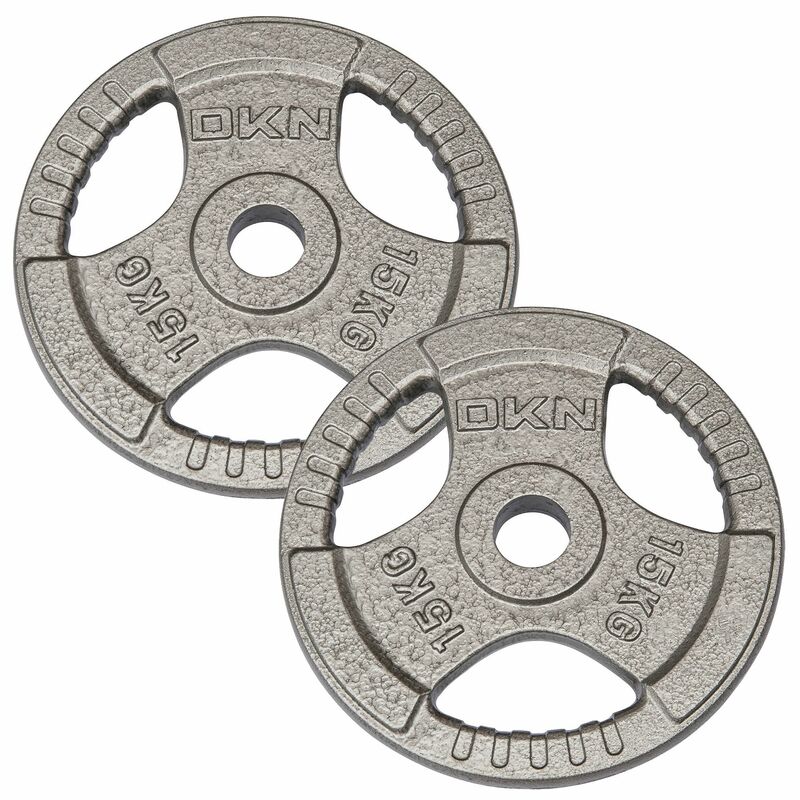 Perfect for bench press as they are a great size. Delivered the day after ordering too! Was after some extra plates for my weight for a while and snapped up these DKN's when I saw the price. 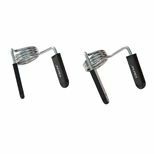 Really robust and perfect for home gym set ups. I workout at home and use an Olympic bar. 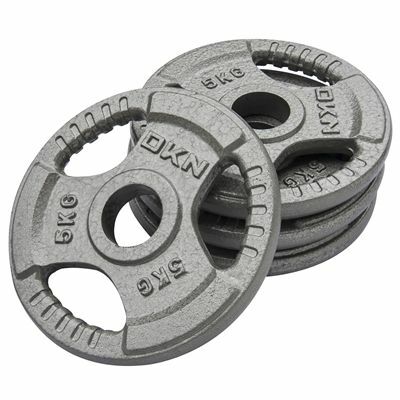 These plates are fantastic value and of really high quality. Will be purchasing more in the future. 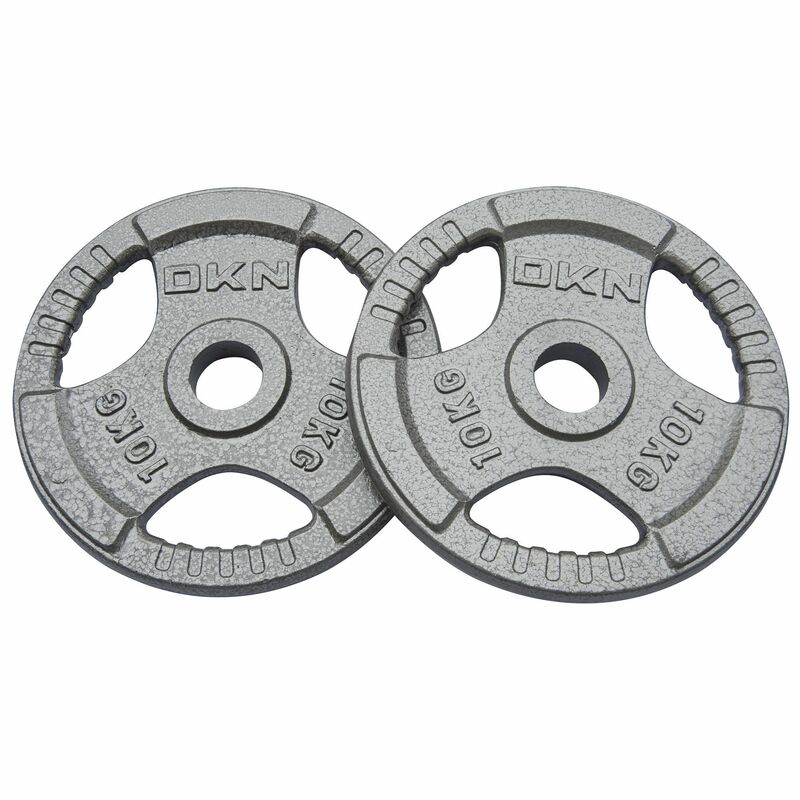 for submitting product review about DKN Tri Grip Cast Iron Olympic Weight Plates.